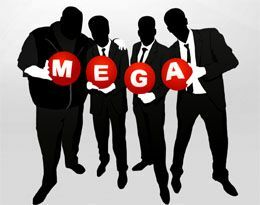 Kim Dotcom and partners have launched the new Mega, a global Cloud file sharing system. Accounts are free up to 50 GB and encrypted. You can check it out here. Today is launch date, and there are already 250,000 user registrations in just 2 hours.